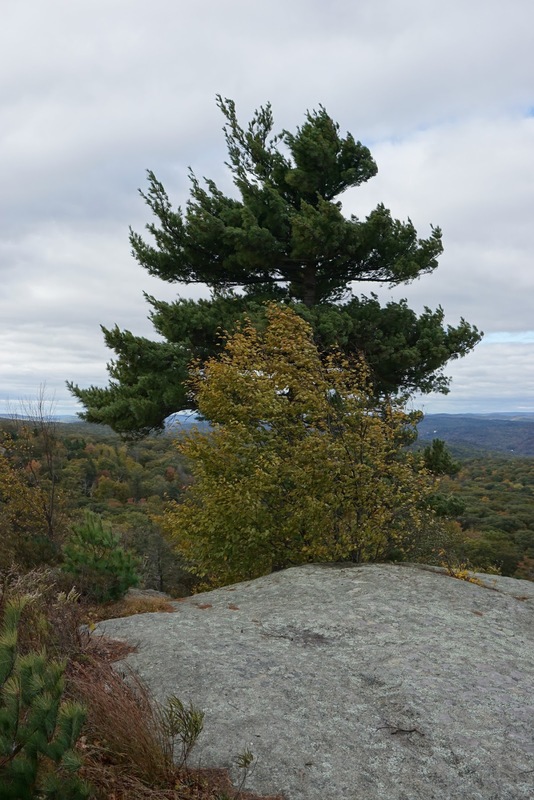 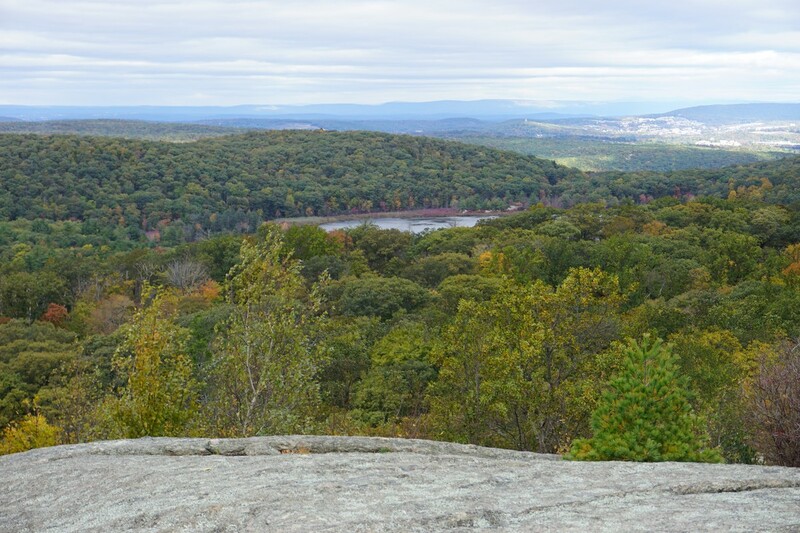 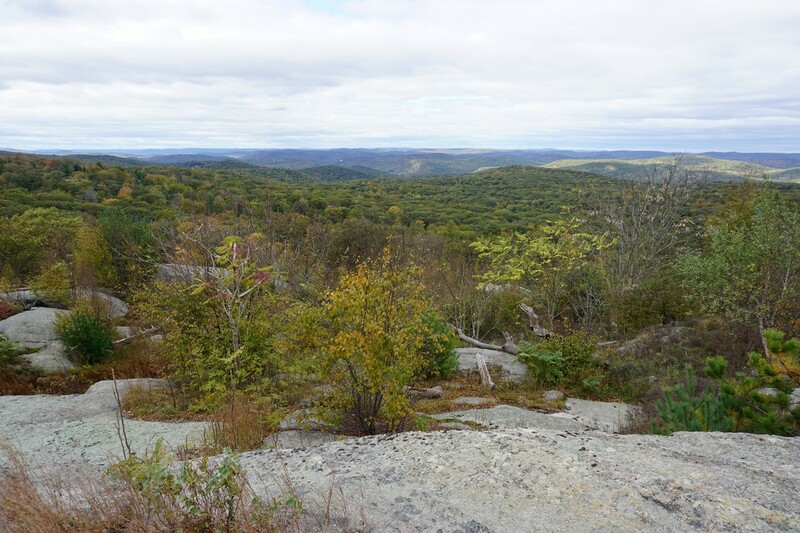 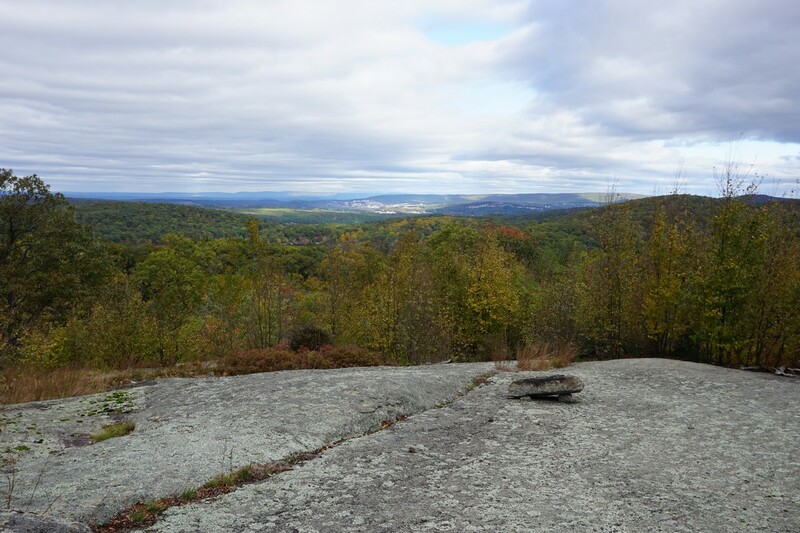 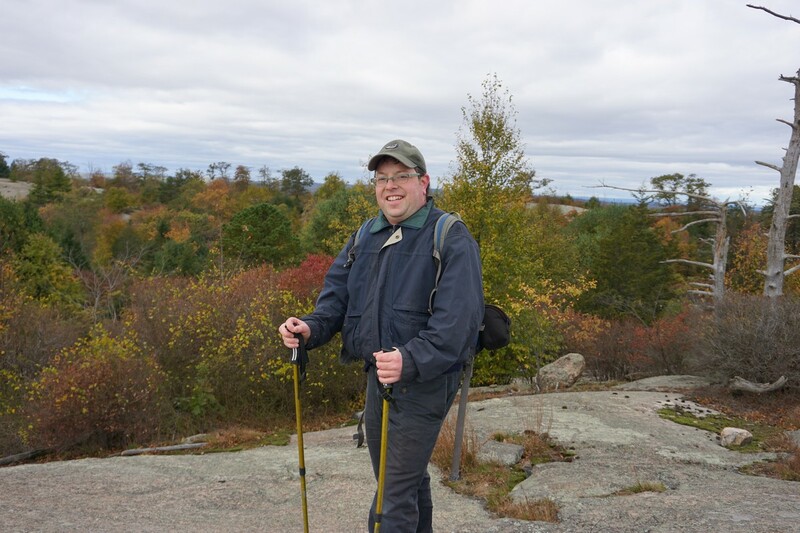 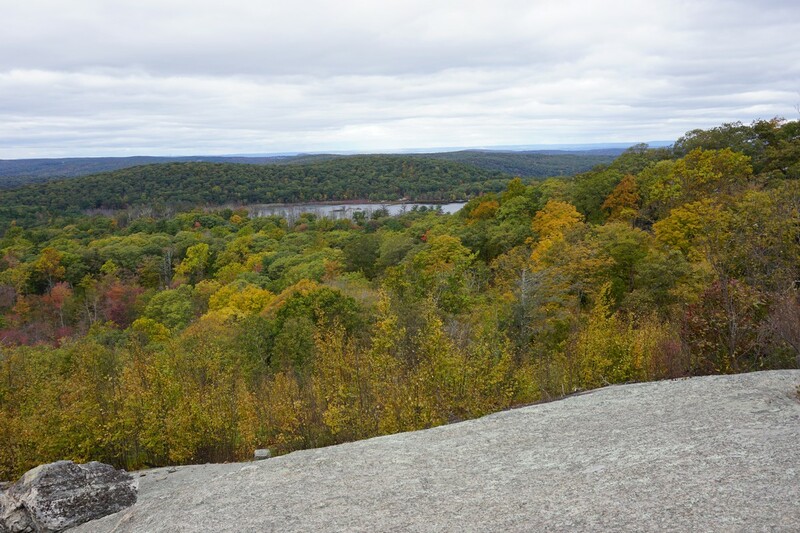 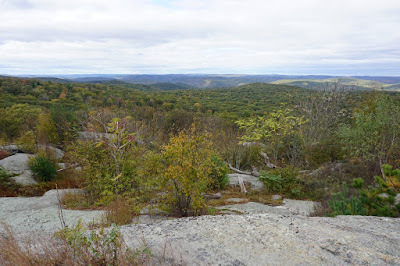 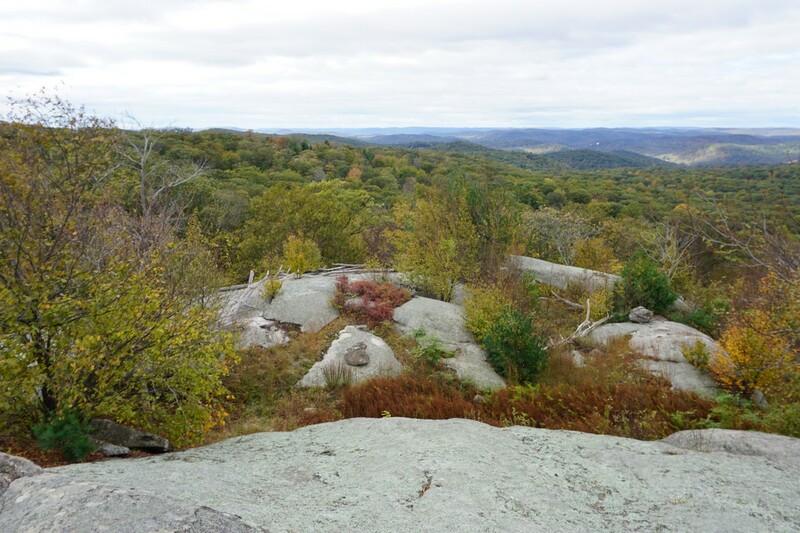 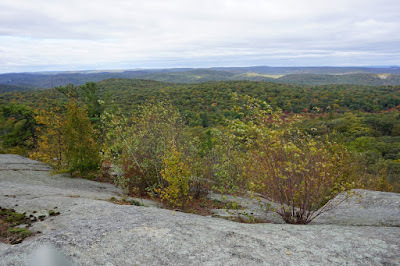 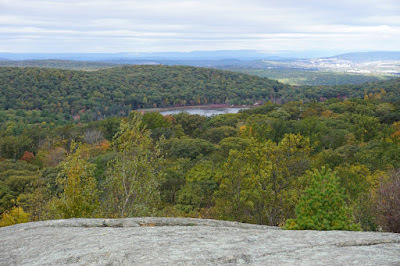 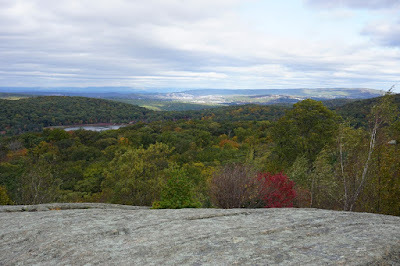 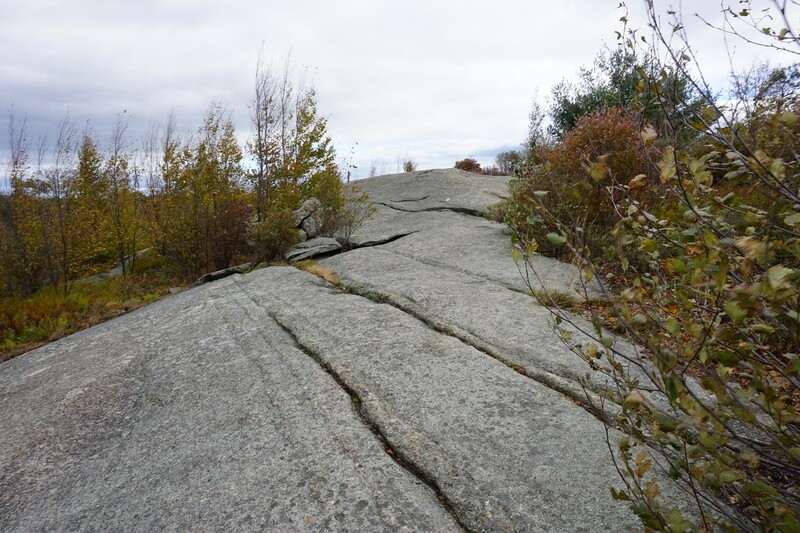 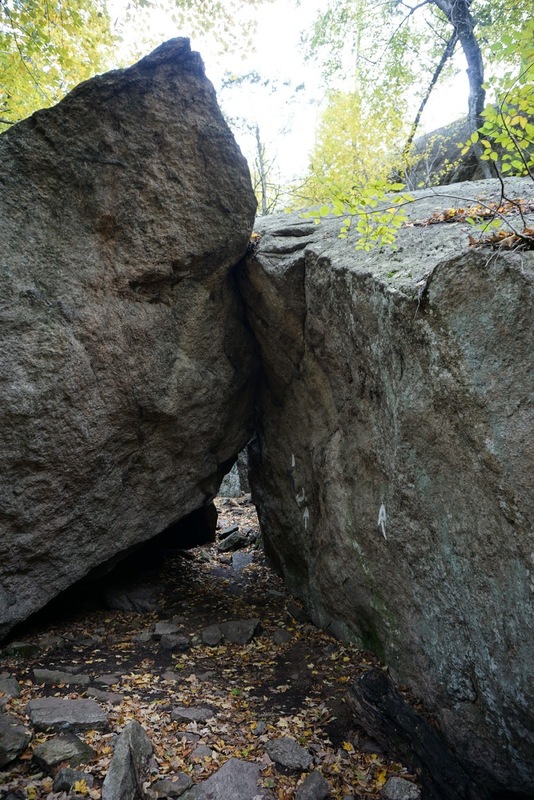 I had hiked nearby this area the previous week, and had wanted to go back to the higher terrain of Harriman between Kanawauke Road and Arden Valley Road that is highly exposed with large, barren rock faces. 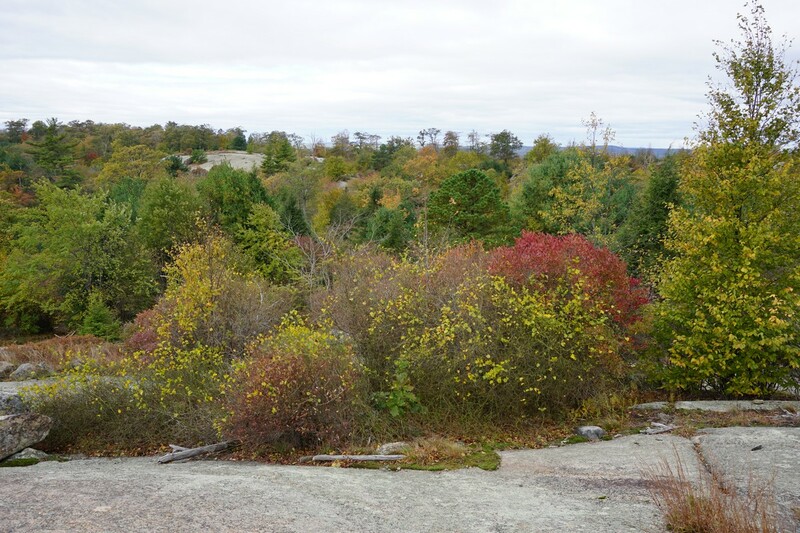 This area is exceptionally scenic, especially during the fall with the bright foliage. 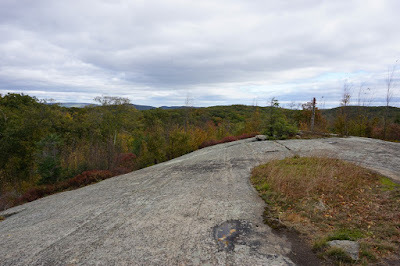 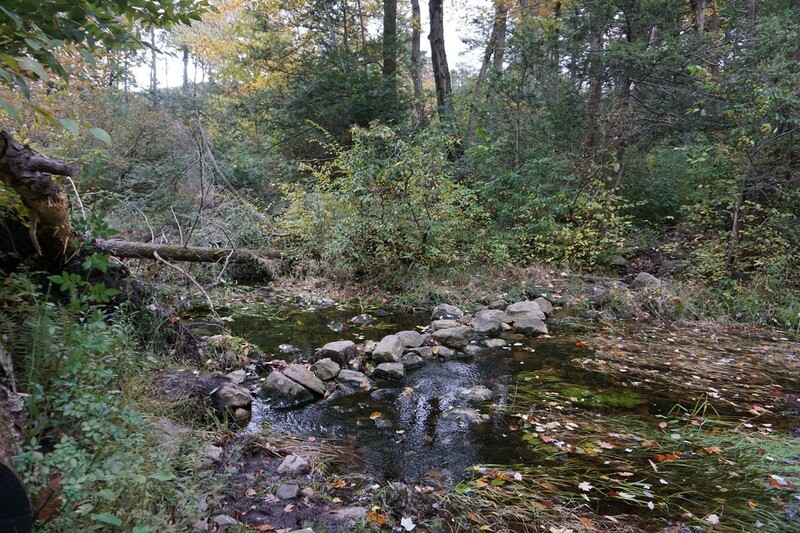 I parked on Arden Valley Road at Crooked Road, and took the Crooked Road path past the Appalachian Trail and to the Arden-Surebridge Trail. 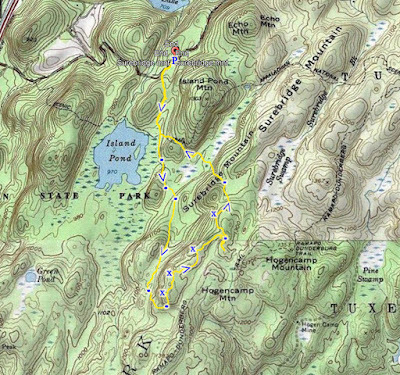 I then took the Arden-Surebridge Trail for a short distance, and then cut across to the White Bar Trail, which I took south until the Dunning Trail. 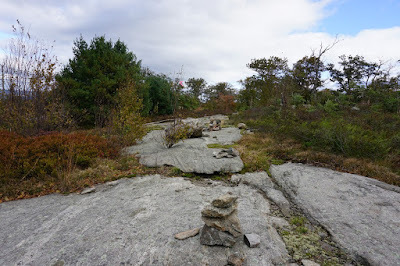 I took the Dunning Trail west, as it climbed up Surebridge Mountain. 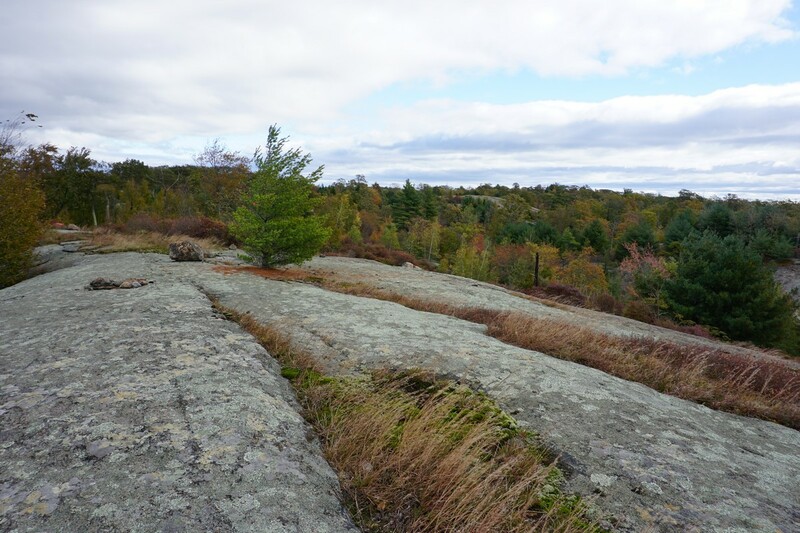 I then cut across on a bushwack on a somewhat used route to the rocky exposed area where there is an outstanding view facing west. 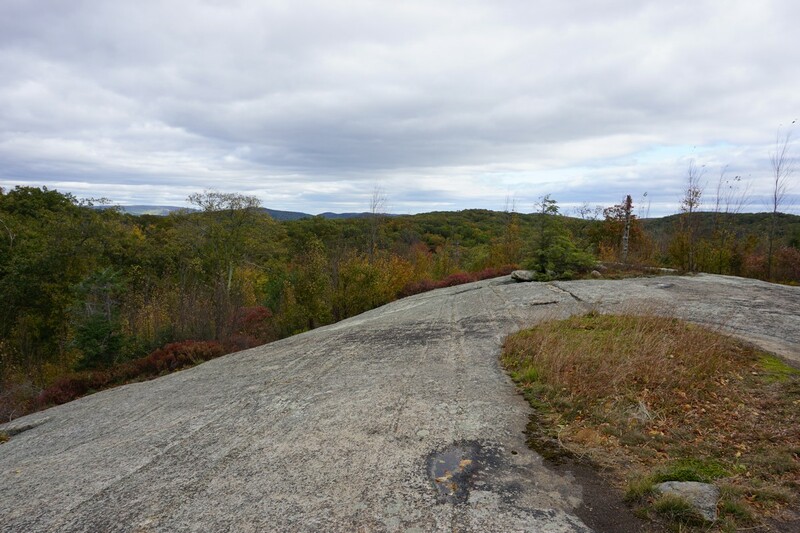 Most of the area of Surebridge Mountain from this point is formed of large, exposed bedrock and short shrubs, with continuos views to the west. 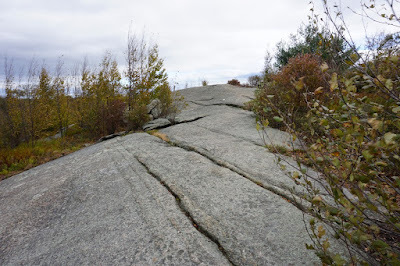 I noticed an informal path at this point going North near the escarpment of Surebridge Mountain. The path has red strings tied to strings and cairns (rock piles) along the route. 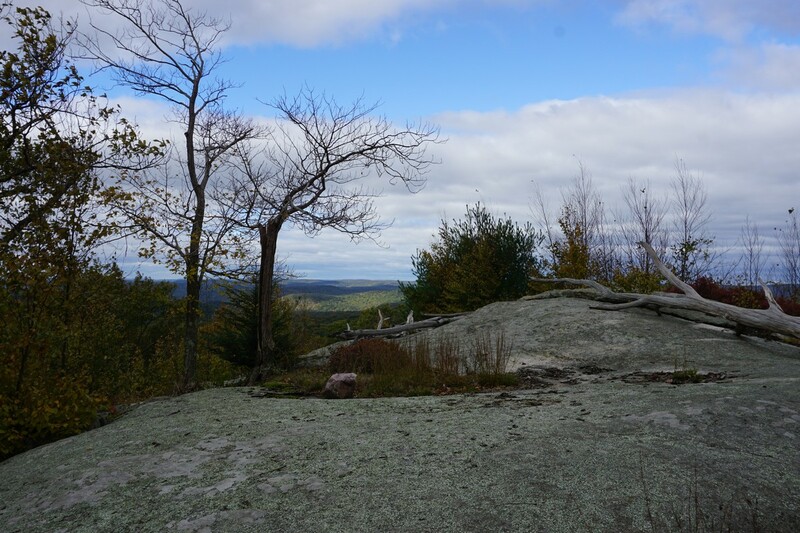 I took this newly discovered trail north until right before it ends, where I bushwacked over to the Lichen Trail. 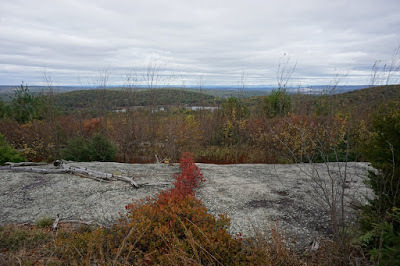 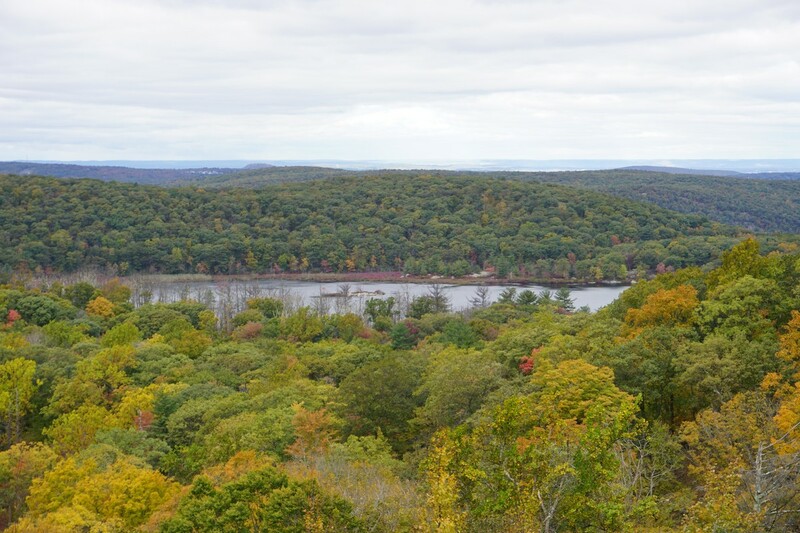 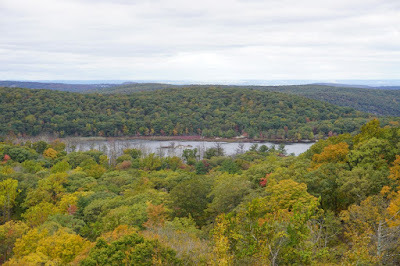 I took the Lichen Trail to north to the big rock exposure on that trail, and the view overlooking Island Pond. 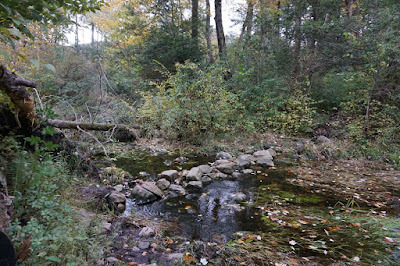 I continued along this short trail to it terminus at the combined Arden-Surebridge Trail and the Long Path, going west towards Island Pond. 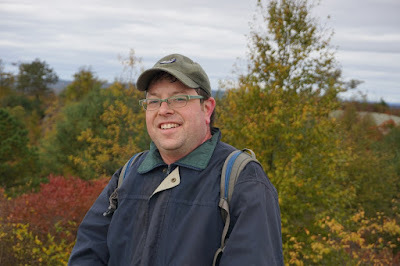 I continued along the Arden-Surebridge Trail where it split with the Long Path, and then went passed the Lemon Squeezer, where I met up with the Appalachian Trail. I took the Appalachian Trail for a short distance back to Crooked Road, which I took back to my car.